In this Botswana safari, you will explore untamed regions of Botswana. Therefore, this adventure is specifically designed for all the wildlife enthusiasts out there. This safari excursion is well suited for newbies as well as for seasoned adventurers of the Dark Continent. If you are looking for a different experience, then this safari is right up your alley. The trip spans over a period of 8-days, and the adventure begins in Maun. You will spend your first night at a camp nearby the Thamalakane river which harbors an abundant bird life and is located at the southern end of the Okavango Delta. 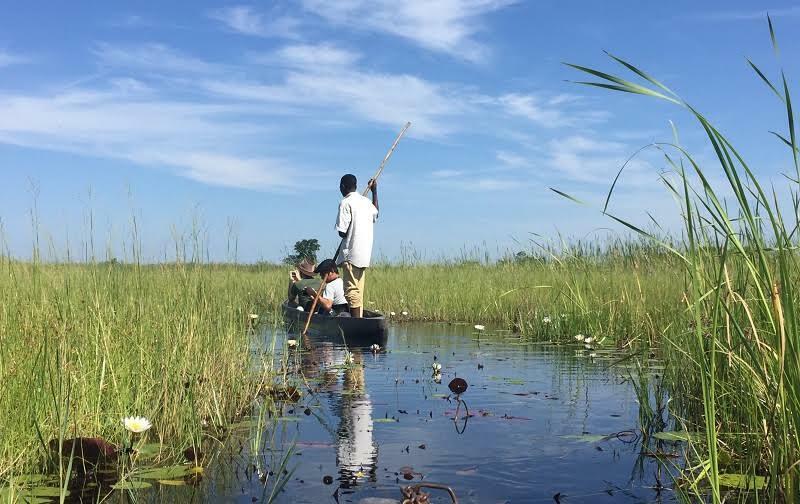 Your next stop will be one of the natural wonders of Africa, namely the Okavango Delta where you will navigate the Delta on a mokoro, making for an unforgettable experience. Next, you will further explore the Okavango Delta region through walking safaris enabling you to discover parts of Botswana seldom visited. Finally, your last destination is the Khwai Concession, which encompasses Mopane forests and floodplains. 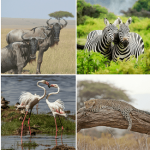 The wildlife roaming through this vast area includes, of course, the elephants, the lions, hyenas as well as a rich bird life, making it the perfect destination for wildlife photographers and bird lovers. Why Go on a Botswanan Safari with Mowgli Expeditions? Well, first off, this Botswanan Safari enable you to explore many remote places, within the Okavango Delta and therefore offering a rich biodiversity of wildlife to its visitors. 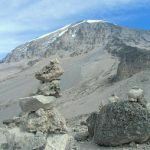 Even though Mowgli Expeditions has a small team, they have been around for many years, and their staff includes knowledgeable and seasoned guides with different backgrounds. Then the group size for this safari is quite small since it only requires a minimum of 8 people. As far as the accommodations go, they are very comfortable, safe, as well-kept and offer all the amenities (toilet, shower, electricity). 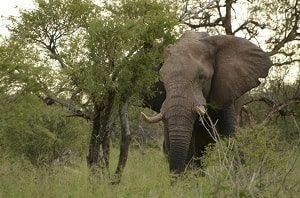 There are a few available dates for the Botswana safari. However, if you find that these dates don’t fit into your schedule, you can choose a custom date for your African adventure. This 8-days Botswana safari includes lodging, most of the meals, all the travel within Botswana as well as the mokoro rides and the safari excursions in the Okavango Delta and the Khwai Concession. As for the pricing of this African journey, you will find that the Botswana safari is very affordable and well-priced since the cost per person is 2190$. Of course, the airfare to get to Maun, the starting point of your African Adventure is not included. The Botswana safari is well suited for nature lovers, wildlife enthusiasts or any adventurers looking for an unforgettable Botswanan experience. So, if you are looking for something different for your next vacation and want to get out of the most traveled path, then the Botswana safari is the answer!